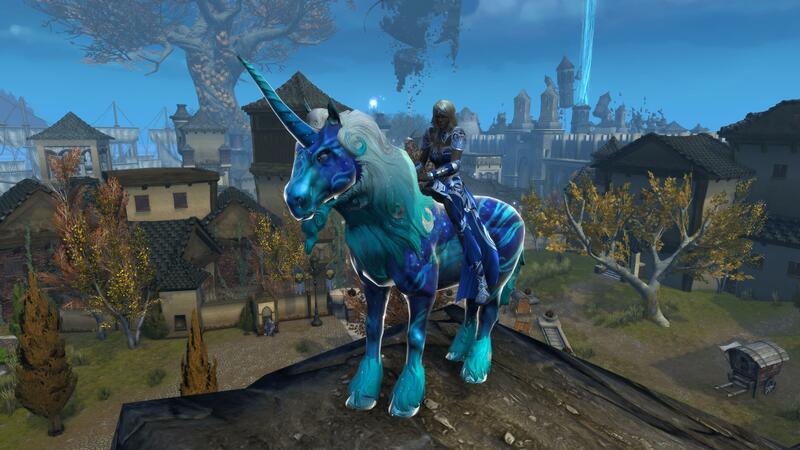 Neverwinter: The Cloaked Ascendancy Free Cerulean Unicorn Mount Giveaway (PS4): Winners Announced! FreeMMOStation.com is teaming up with Perfect World Entertainment and Cryptic Studios to give our readers one Cerulean Unicorn Mount for the Dungeons & Dragons MMORPG Neverwinter (PS4 only), in celebration of The Cloaked Ascendancy's launch on consoles. To win one of the 25 keys you just have to say in the comments why you want this mount! The giveaway ends April 27, 2017. Follow FreeMMOStation on Facebook to know about the latest giveaways! 3. Open a Sony Network Entertainment account on PSN (or use your existing Sony Entertainment Network account). 4. Select the PlayStation Store icon on the PS4 system home screen and download Neverwinter. 5. On PlayStation Store, select ‘Redeem Codes' at the bottom of the menu. 7. Once the code has been entered correctly, select ‘Continue' on the dialog box. 8. Select ‘Continue' to complete code redemption. 9. Launch Neverwinter and locate the Rewards Claim Agent in Protector’s Enclave to receive your items. 10. Never miss a giveaway again! Follow our updates via Facebook, YouTube, Google+ and Twitter, and sign up for our daily newsletter, it's all completely free! 2. For Neverwinter PS4 (SCEA) only. These majestic beasts live to protect the forests where they dwell. In honor of these powerful creatures, the forest dwelling fey groom them and adorn them with bright flowers staining their pure white coats with vibrant color. These uncommon mounts grant 50% increased mounted movement speed and two Insignia slots to gain additional powers.